Next month will mark the 26th anniversary of the ‘Pan-European Picnic’, a day that changed the face of Europe. On 19 August 1989, Communist Hungary stopped policing its border with Austria, allowing some 600 East Germans holidaying at Lake Balaton to cross over to the West. Soon after, the Hungarian authorities officially opened the border allowing some 60,000 East Germans and other Warsaw Pact citizens across the Iron Curtain, sparking the beginning of the end for divided Europe. This month, Hungarian Prime Minister Viktor Orban declared he intends to erect a 4 meter high fence across its 110 km southern border with Serbia to stem the flow of refugees. But are barriers the answer to the spiraling migration crisis in Europe? Orban, whom Politico describe as ‘Europe’s new dictator’, has been ramping up anti-immigrant rhetoric. In response to potential EU migrant quotas, he claimed it would amount to the end of Christian Europe and suggested opening internment camps for migrants. This is in a country where over 400,000 Hungarian citizens were sent to Nazi concentration camps and 700,000 to Soviet Gulags. The government has spent almost a million euros on a billboard campaign telling immigrants not to take Hungarian jobs. This Tuesday, in clear breach of EU rules, Hungary ceased accepting asylum applications. This comes as no surprise. Earlier this year, Orban called for an end to immigration: “We do not want to see a significant minority among ourselves that has different cultural characteristics and background. We would like to keep Hungary as Hungary”. However, Hungary is not the only EU country building fences. Greece put up barriers along its border with Turkey. Spain has famously enclosed its African enclaves of Ceuta and Melilla with huge fences. While Bulgaria has nearly completed a 33 km long fence with neighbouring Turkey. Austria has also stopped accepting asylum applications in a bid to pressure other member states into action. Despite Renzi’s protestations of walls in Europe, last week Italian police violently evicted a migrant camp at Ventimiglia, the last town on the Mediterranean coast before France. Over the border, France is refusing refugees entry – leaving people stuck in limbo. Millions have been spent putting up fencing around the Channel Tunnel entrance at Calais, but this week services sous la Manche have suffered delays as desperate migrants attempt to board lorries bound for the UK. Fence around the Spanish enclave of Melilla. By Sara Prestianni under Creative Commons License. But fences are unlikely to deter refugees. One Afghan man on the Serbia-Hungary border told The Guardian: “In Afghanistan, life is not safe, and every human who wants a safe life will make a hole in that wall, or find another way”. In spite of three tiers of fencing, razor-wire and the risk of injury and death, hundreds of people regularly try to cross from Morocco into Ceuta and Melilla. Greece’s wall with Turkey has just forced migrants to travel by sea. This week EU leaders are meeting to discuss the migration crisis. The European Commission proposes the redistribution of 40,000 Syrian and Eritrean refugees from Greece and Italy to other parts of the EU. However, UNHCR estimates that over 100,000 refugees have already crossed the Mediterranean into Europe in 2015 alone. The plan is likely to encounter resistance. France and the Visegrad group of Central European countries (including Hungary) have been vocal in their opposition to the plan. The UK has granted less than 200 Syrians asylum (resettlement) since the war began, and looks to oppose accepting any more than a few hundred extra refugees. We need a European-wide response to the crisis that recognizes the scale of the situation and acknowledges our responsibility to protect those in need. We as a continent need to accept greater numbers of refugees in the short to medium-term. In the long-run we must focus on developing and stabilizing their countries of origin. Leaving it up to the southern member states where refugees first arrive, as demanded by the EU’s Dublin Regulation, further weakens these countries already in severe economic crisis. 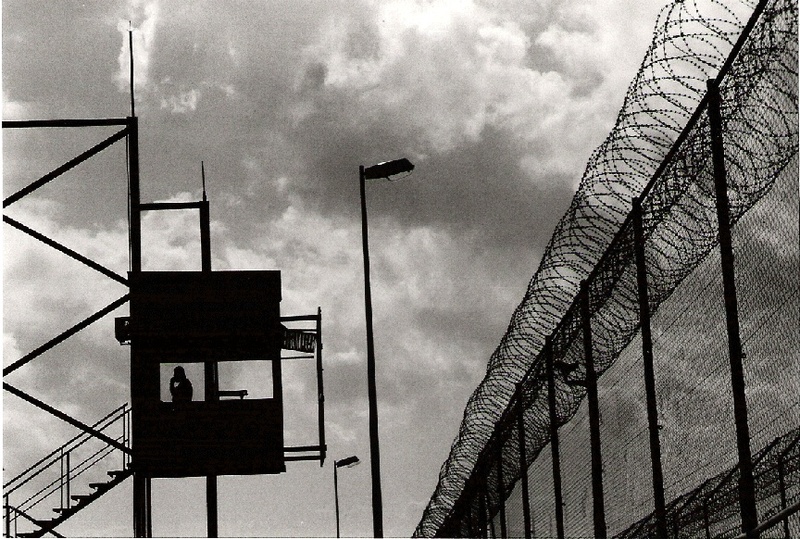 No amount of razor-wire will change our proximity to devastating war and hunger. No number of racist billboards will change the fact that desperate refugees will continue to seek survival in Europe. Overcoming this crisis will be no picnic, but we cannot let the Europe that began 26 years ago succumb to walls and fences. ‘Storming Spain’s Razor-wire Fence: Europe or Die (episode 1)’, VICE News. ‘Trapped in Bulgaria: Europe or Die (episode 3)’,VICE News. ‘Opinion: Europe is Walling Itself in’, Robert Schwartz, Deutsche Welle. ‘UK closing doors to Syrian migrants, lawyers say’, Guardian. ‘Migration in the UK and EU: Facts and Figures’, European Parliament Web Team, Huffington Post.